AACC 2018 and Westford, MA – July 31, 2018 – Performance Motion Devices, Inc., a provider of innovative, high performance integrated circuits, boards and drive-based motion control solutions to OEMs around the globe, today announced that its ATLAS® digital amplifiers, featuring the highest power density in the industry, can now be used with third party microprocessors or field programmable gate arrays (FPGAs) via Serial Peripheral Interface (SPI) communications. Originally designed to be used in conjunction with Performance Motion Devices’ Magellan® motion control ICs, ATLAS digital amplifiers can now communicate through SPI with third party controllers, significantly increasing the range of applications and designs where ATLAS can be deployed. ATLAS digital amplifiers are suitable for robotics, medical devices, laboratory equipment, scientific instruments, fan and pump control, precision motion and industrial motor control. ATLAS digital amplifiers are compact single-axis modules that provide high-performance torque control of DC brush, brushless DC and step motors. Featuring the highest power density in the industry, ATLAS versions are available in 75W, 250W, and 500W power configurations in two module sizes: 27 x 27 x 13mm and 39 x 39 x 15mm. For additional flexibility, ATLAS package options can be mounted to a printed circuit board in either vertical or horizontal configurations depending on customer preference. ATLAS amplifiers integrate a field-oriented control (FOC) digital current loop, which enables finely-tuned motor current control and lower power consumption and noise. Further, ATLAS amplifiers can rapidly record IoT information such as commanded current vs. actual current, temperature, bus voltage, etc., enabling host processor access to critical motion control parameters. This capability allows engineers to monitor system performance and proactively address problems before they arise. ATLAS digital amplifiers are powered from a single supply voltage, and provide automatic protection from over-current, under-voltage, over-voltage, over-temperature, and short circuit faults. Other advanced ATLAS features include; programmable gain parameters and performance trace. Originally designed to integrate seamlessly with Performance Motion Devices’ Magellan motion ICs, they can now also be used with FPGAs, digital signal processors, or general-purpose microprocessors. Performance Motion Devices, Inc. provides innovative and high-performance integrated circuit, board and drive-based motion control solutions to manufacturers and OEMs around the globe. With over 6 million installed axes, Performance Motion Devices has the motion control expertise to simplify designs, lower production costs and risk, and enable customers to bring their products to market quickly. 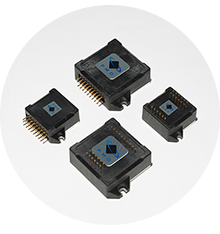 Performance Motion Devices products are used to control DC brush, brushless DC, and step motors in the medical device, laboratory automation, robotics, 3D printing, entertainment and semiconductor automation markets. Motion control at its core. Sniper Public Relations on Behalf of Performance Motion Devices, Inc.